The Spiritual Director, Adoration Ministry, Enugu, Nigeria (AMEN), Reverend Fr. 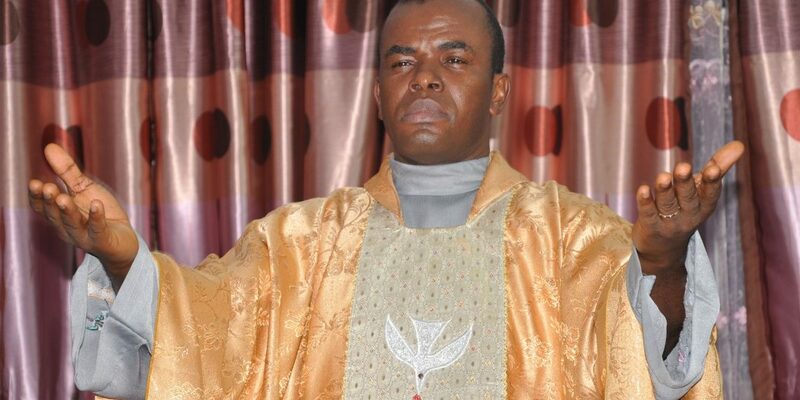 Ejike Mbaka, has charged Nigerians to pray hard to overcome what he called ‘impending unimaginable difficulty’ this year. Fr. Mbaka stated this in the early hours of Tuesday during his New Year prophetic message. He said that the type of difficulty the country is going to face is such that has not been witnessed in its 58 years history. While praying for the country and its leaders, the outspoken Catholic priest enjoined Nigerians to support President Muhammad Buhari to continue his fight against corruption, noting that the Catholic Church supports the fight against corruption and that was why she created ‘prayers against bribery and corruption’. “A President that is fighting corruption needs to be supported”, he stated.